LONG ISLAND CITY, N.Y., June 7, 2011 /PRNewswire-USNewswire/ -- Representatives of White Coffee Corporation are visiting Huila, Colombia this week to strengthen their relationship with Asociacion Primaveral, the Primaveral Coffee Cooperative. The group is a collection of 24 local coffee growers who live and work on farms in southern Huila. Working in one of the premium growing regions in the world, these local farmers have been presented with a cash stipend, over and above the regular purchase price for the coffee. 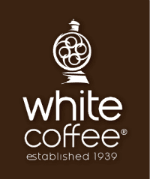 This funding implements White Coffee Corporation's pledge last fall that enables Asociacion Primaveral to resume additions and upgrades to its coffee drying facilities.